The Kofinas company, always at the edge of technological innovations, visited the BAU Exhibition in Munich, Germany, in order to be updated about the progress in the house construction field. 40 years for KOFINAS SA. For all these years, our target was not the production of more houses, but the construction of better houses. And we did it. Our proof is our 6.500 satisfied customers. Without many words, we keep going just like we started! All these years, “Kofinas” construction has been designed to help solve global environmental problems such as CO2 emissions, greenhouse effect, global warming and natural resource imbalance. Our company strives to minimize negative environmental impacts, enhancing efficiency and moderation in the use of materials, energy and space. More simply, the idea of ​​sustainable development is to ensure that our actions and our decisions today do not hamper the opportunities of future generations. The strategic planning of our constructions is based on the reduction of greenhouse gases regarding the production of the raw materials of a home during its construction and its life span. The house is designed to provide thermal and lighting comfort. For this purpose, it utilizes solar energy, the local climate as well as the properties of building materials and architectural elements. The house is designed to save money during its life because: α) its construction technology reduces the need to use heating and cooling energy β) any cost for future maintenance is minimized. Kofinas SA participated in the “Domotec / Building Green 2017” building and energy saving exhibition at the Athens Metropolitan Expo center during April 7-9. Visitors of our exhibition booth had the opportunity to see our last generation of masonry and to discuss with our representatives about any issue regarding our construction and our green orientation. KOFINAS Company sponsored and provided its expertise to the engineering competition BEST Athens which took place at the National Technical University of Athens and was organized for the forth continuous time by the local level of the largest engineering competition in Europe, the European BEST Engineering Competition. The idea of the company was for the competing construction teams to design a passive house based on bioclimatice architecture (Case Study). 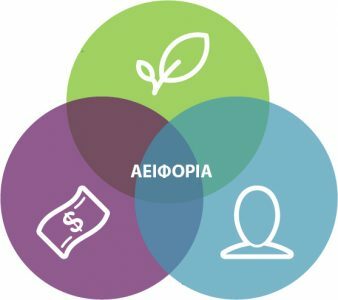 Kofinas company by fulfilling the environmental, social and economic criteria, became a member of green entrepreneurship of the Green Banking Portal by Piraeus Bank. Keeping the promise for constant evolution, Kofinas company becomes an official member of the Hellenic Passive House Institute. The deep knowledge of the institute will further contribute to the development of the expertise of Kofinas company, concerning the ecologic passive construction method. The idea of the company was for the competing construction teams to design a passive house based on bioclimatice architecture and taking under consideration the most recent Kofinas techology (Case Study). The extrovert orientation of Kofinas company, leads to an agreement for the representation of the company in Switzerland, by Anastasios Vasilopoulos, Mechanical Engineer, EPF Lausanne. The Kofinas company, always at the edge of technological innovations, will visit the BATIMAT exhibition in Paris, France, in order to be updated about the progress in the house construction field. At the exhibition site, we will have the opportunity to see many new materials and implementation methods, so as to improve even further our construction technology! Our company is a sponsor of the A.O. Markopoulos basketball team, fully supporting the efforts of our team. Our participation through our representative Detima Constructions LTD at the Constructions – Cyprus exhibition at Nicosia was successful. Kofinas company participate through our representative Detima Constructions LTD at the Constructions – Cyprus exhibition at Nicosia. Visiting our kiosk, you were able to talk with our engineers, in order to inform you about the Kofinas construction method! Our partitipation at the T.I.F. was successfull. Visiting our kiosk, you were able to talk with our engineers, in order to inform you about the KOFINAS construction method! Our participation at the Exhibition for cottage houses was successful. Visiting our kiosk, you were able to see a constructed Flexyhome house and you were able to talk with our engineers, in order to inform you about the Kofinas construction method! Our participation at the DOMICAtec Exhibition was successful. Visiting our kiosk, you were able to see a constructed Kofinas house FlexyHome and you were able to talk with our engineers, in order to inform you about the Kofinas construction method! 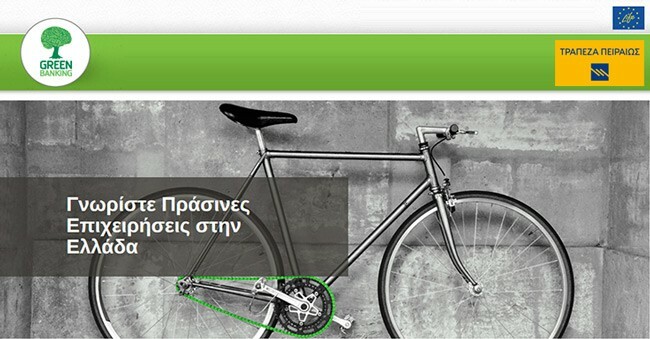 Kofinas company sponsored and provided its expertise to the engineering competition BEST Athens which took place at the National Technical University of Athens and was organized for the third continuous time by the local level of the largest engineering competition in Europe, the European BEST Engineering Competition. The idea of the company was the implementation of a folding retractable-house from the competing construction teams (Team Design). The students visited the exhibiotal site of Kofinas company in Agia Paraskevi, in order to be informed about the technology and the construction method of our company. The high school students from Kantas Private School visited the exhibition site of Kofinas company in Agia Paraskevi, in order to see in person the modern method in which the houses of our companies are constructed. At the exhibition site, we had the opportunity to see many new materials and implementation methods, so as to improve even further our construction technology! Our participation at the National Constructions Expo in Cyprus was successful. Visiting our kiosk, you were able to see actual samples of the Kofinas masonry and to talk with our engineers, so as to be informed about our construction method! Faithfull to our commitment to high quality products, the Kofinas company becomes the exclusive representative of the world’s top masonry siding Canexel, for the Greek and Cypriot market! Our presence in the Cypriot market is strengthened, through our new partner, the Detima Constructions Ltd. company. After the first two successful experiments of our company, we do not rest, but we move on to a new experimental building strength test, in collaboration with the National Technical University of Athens (Department of anti-seismic technology). In this new experimental research, which is currently under development, a 4-story Kofinas construction will be tested for its strength against seismic strain, the results of which are expected in about 4 months! 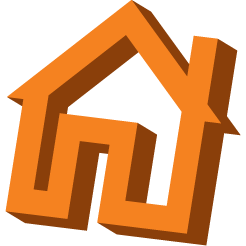 The Kofinas company, one of the most advanced prefabricated houses companies in Europe, steadily follows the progress of the prefabricated houses field. A team of architects from our company visited Germany (which is one of the pioneers) for once more, aiming to enrich our technical knowledge of the construction scene. Kofinas company acquires an international reliability certification D&B – DUNS. Click on the badge to confirm our registered DUNS company profile. Our company renewed the ISO certification with the newest ISO 9001 certification of management, operation and production. Our company has received A’ class energy certifications for two houses that we built. This high distinction, according to the new energy efficiency rules for buildings in Greece, proves the absolute quality that the Kofinas company has to offer. We constructed new Finnish log houses at the Markopoulo showroom of our company, so that every customer can see in first hand the high quality of Finnish laminate timber we use, as well as the advanced construction technology we apply. Our company, looking to improve the construction concerning the Finnish log houses, visits Finland in order to see the installations of our collaborating company, Lameco – Rantasalmi, and to enrich the knowledge concerning the building technology using Finnish laminate timber. A test subject of natural size, build by Kofinas – Prefabricated houses company, was tested experimentally using a seismic simulator at the National Technical University of Athens. The purpose of the test was to check the response of the building system against seismic action. The results of the test impressed specialists and scientists and prove that the Kofinas construction is, actually, fully seismic proof.